SM Supermalls just launched LIVE X DESIGN home exhibit showcasing the works of students from the country’s premier design school, the prestigious Philippine School of Interior Design (PSID), which took place last August 24 at the Atrium A of SM City Sucat. 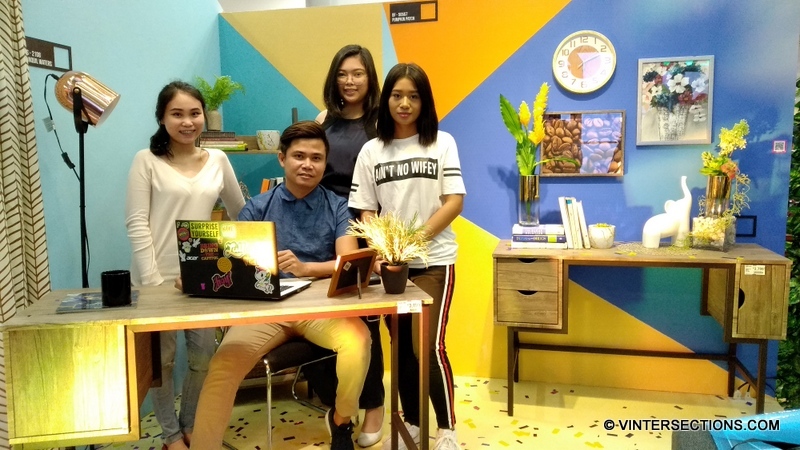 The exhibit is a glimpse of how millennials transform humdrum living spaces into livable, pleasant, inspired, and impressive homes. 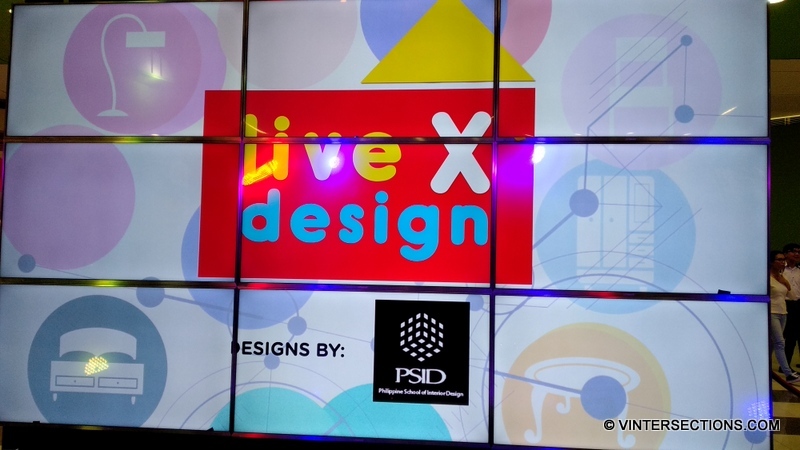 Since its inception in 1967, PSID has produced a great number of design professionals who have made their marks in the design industry, both local and international. 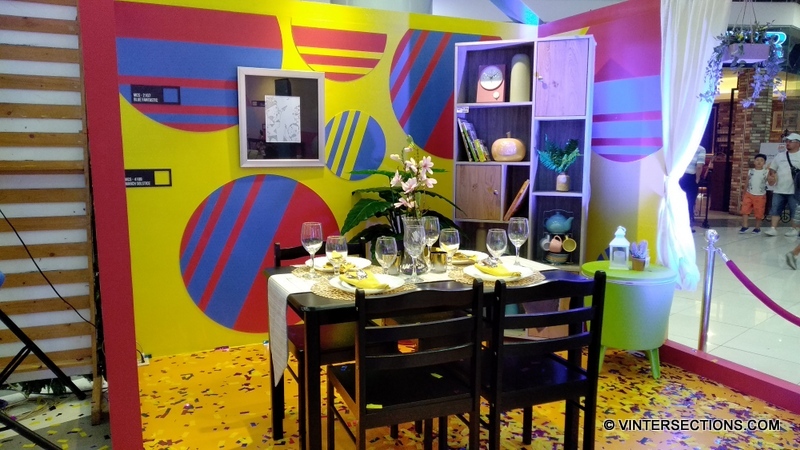 The exhibit aims to inspire people to transform their simple home into fancy, creative and Instagram-worthy home. 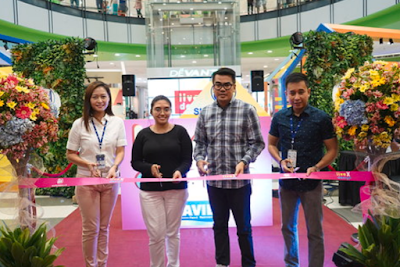 The welcome remarks was delivered by Nelicia Torres, Asst. 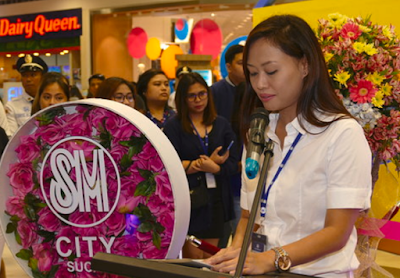 Mall Manager of SM City Sucat. 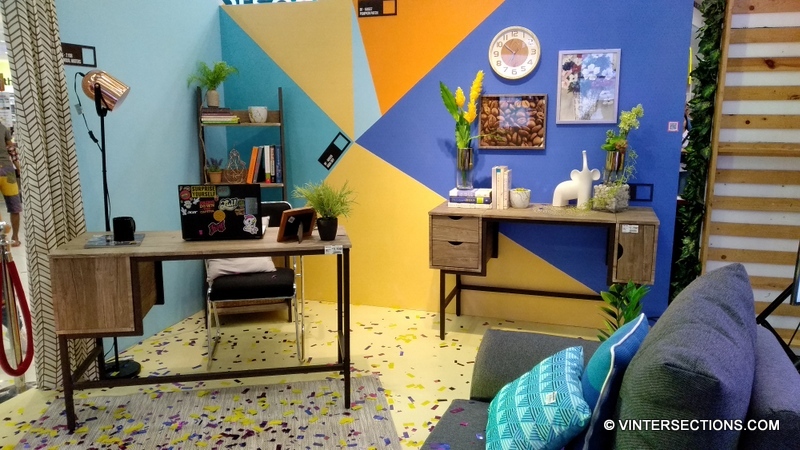 The booth design centers on wall with abstract geometric patterns. 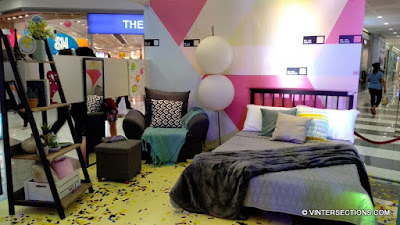 IT conveys energy and motion. 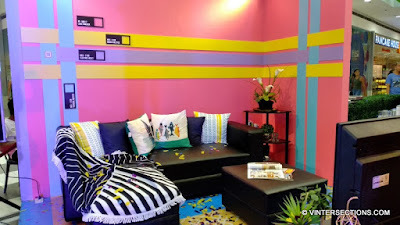 The wall has hues of blue and orage which are complementary. A small space with the right connection to the owner's surroundings can help him achieve a lot at his home office. 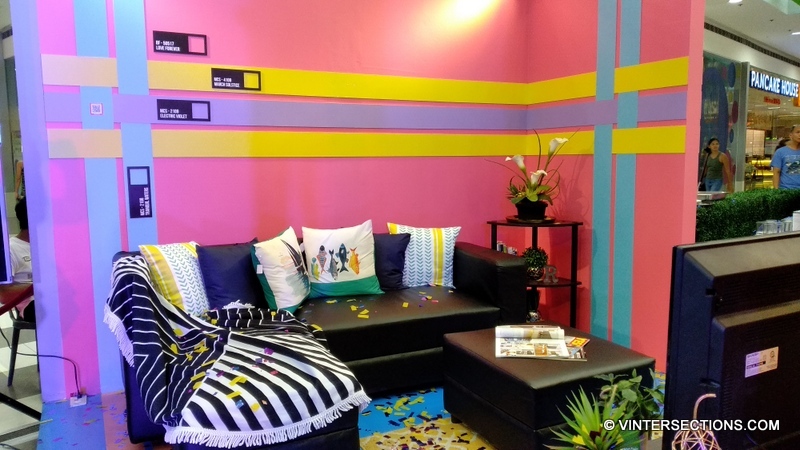 The booth design is Tropical Living Room. They used bright and light colors to create an illusion of bigger space and they made us of dead spaces for storage and shelving units to maximize the space. 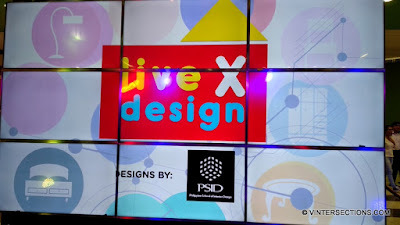 Live x Design is also made possible by SM Home, SM Hypermarket, Davies Paints and Maartsy.com. 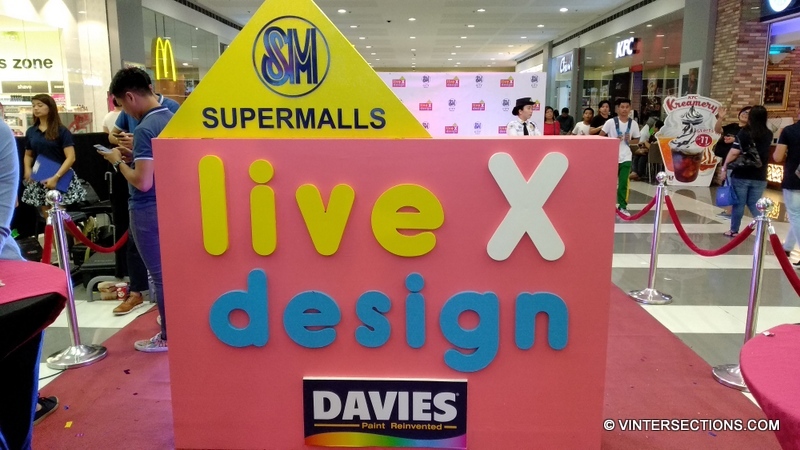 This Live x Design exhibit was opened to the public at SM City Sucat last August 24-31. You can still catch it at SM City BF Paranaque (September 3-16) and SM City Bicutan (September 21-30).